Student Life is a great resource that connects you to a wide range of opportunities at the College that are often FREE. Taking online courses does not exclude you from these opportunities. Not only can you take advantage of campus based events, you also have Student Life Online opportunities available to you. WHERE do you find out about these opportunities? There are a variety of ways to find out about engagement opportunities. See below where you can find information about Student Life. A physical Student Life Office is located on all 6 campus. For online students, a Student Life Coordinator is available virtually and via email. Typical Student Life staff is available 9am-5pm, Monday through Friday depending on what events are taking place. View Student Life locations and contact information HERE. Never hesitate to stop by a Student Life Office or email the staff! We are here for YOU! An updated list of programs is sent your student email (@email.vccs.edu) from Brian Anweiler every Friday during the Fall and Spring semesters. Every campus, NOVA Online included, is updated weekly. There is a lot of information on the email, but you can pick and choose which opportunities you want to follow. Flyers, updates, and other important information is shared regularly through Social Media. It’s also a great way for you to communicate directly with staff and other students! 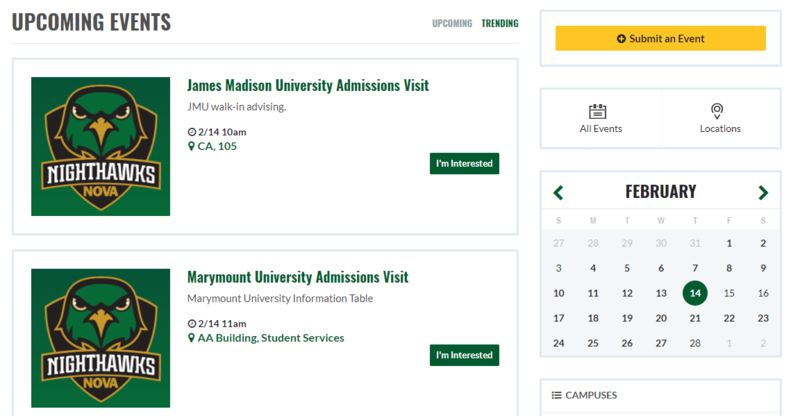 The NOVA Events Calendar is found at https://calendar.nvcc.edu/ You can even narrow your search by selecting a campus, topic, or event type. There are tons of ways to get involved at NOVA weather you are taking online classes or traditional classes, there is something for every one. #GetInvolved #DontBeBored! NOVA Students FILE YOUR TAXES FOR FREE! for Earned Income Tax Credit. Workshops are Facilitated Self Assistance (FSA) sites. 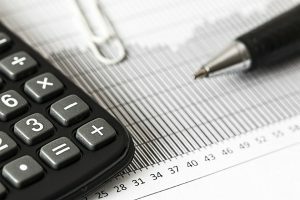 You will use computer to file taxes and will be able to type your own information into the software, with the step-by-step instructions from a certified volunteers. Please visit the link below register! Free and confidential Credit Counseling is available with a BB&T representative at the end of your tax filing appointment. Please indicate your interest on your registration form! with us some tips on how to manage our finances. Growing up my mother was not very financially responsible, and when I moved to the USA my family was not financially responsible. I decided that this wouldn’t be me, so I experimented with many ways before I found out the one that works for me. Below are the top five things I do keep my finances in check. In this book I write down all my wants and needs. I also write down savings and financial goals. I have a job, but I also have bills. For better accuracy I write down everything that I must pay for each pay check and I cross them off as I go. I also keep track of how often I need the basics (toothbrush, shampoo, etc.) so I can plan accordingly. Budget. I consider budgeting as the maximum amount of money I am willing to pay for things. I have a car, so I need gas. I tell myself based on my commute, how much gas do I need? It turns out, I could get by with $100 a month. I allocate $100 for gas every month using a gift card. Unless it’s necessary I will not go beyond my commute. Everything I need is on the way. I also do that for everything else, clothes, books, etc. I like to avoid surprises. My wallet doesn’t like them very much. I have three different savings accounts based on my priorities. I have an emergency account. I was told to have at least 3-4 months bills put away, so I am working towards that. I also want to invest money for residual income and I want to go places, it doesn’t matter where. I allocate some money each month for it according to importance. Suppose I save $100, 50% would go to emergency, 30 to travel and 20 to investment. I only buy things I need. When I go to the store, usually Bed Bath and Beyond because I use their 20% off coupons, A LOT, I make sure I get things I really need. I’ll ask myself three times if I really need something before I hit the register, and I’ll put the No’s on the side. When I reach the register, I’ll ask myself, “do I need it?” one more time before I make final my purchase. I get money for my birthday, work bonus or for whatever other reason. I used this money strictly for savings and I follow the same breakdown as before 50 for emergency, 30 for travel and 20 for investment. These tips work for me. I live within my means and I can still afford to do things I want to do without feeling guilty. At the same time, I have a cushion for the future. If you have any additional tips or have any questions don’t hesitate to contact me.